Thanks very much for a quality job. You would never know it had been damaged. Feels like a new car. Andy - this is the second car of mine you have repaired and both repairs have been second to none. I would like to leave some positive feedback both on your workmanship and attitude. Dear Andy - I did say I was impressed with the repairs to my Jaguar when you returned it yesterday. I have now had a really detailed inspection and would just like to let you know what a fantastic job I think you have done. It is impossible to tell the difference between the new paintwork and the original. My sincere congratulations on a magnificent job! Hi Andy & Michelle, just got in and seen the repairs and all four alloys on my Jag. WOW!! It's fantastic!! Thank you so much! Incredible job. Please thank everybody who has worked so hard. WOW! again. I just wanted to pass on some feedback following the paint repair and dent removal work you did for me last week. I was really pleased with the time and care you took with my car - the end result is as good as new. I would also like to note how professional and nice you're working manner is. Thank you, I will definitely be recommending you and Michelle. Hi,just to say a big thank you to you both for the pleasant,efficient and professional way in which you made good my injured car.I shall have no hesitation in recommending you to others who may have a similar problem. I’ve recently had some cosmetic work done on my Audi TT by Andy / Michelle. Andy advised me on a cost effective way to tidy up the car to get the maximum trade in price. The price was reasonable and definitely reflected in the value of my car. All in all I won't hesitate to recommend the services to anyone who asks me. Michelle and Andy responded immediately to a request for a quote and booked the car in straight away and the job was flawless. I would definitely recommend the Chips away service offers by Andy and Michelle. 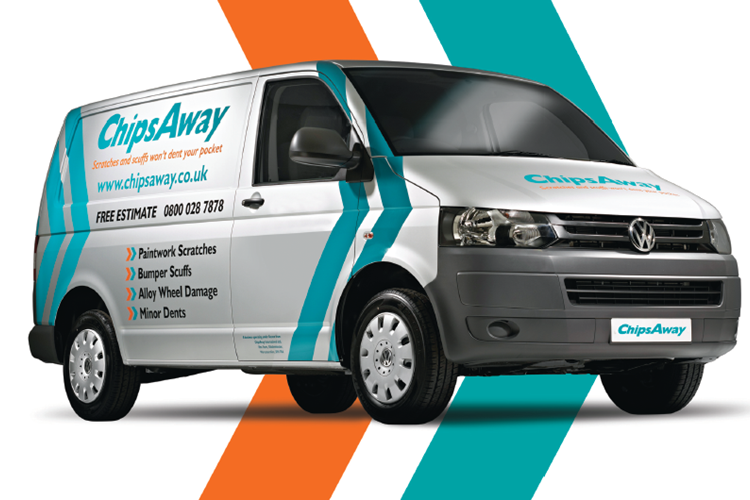 Have just used the services of ChipsAway - Andy Wade and I'm very impressed with the whole service. Easy and fast estimate given after viewing a photo that I provided. Arrangements made and the speedy repairs meant I wasn't put out at all and the price was extremely reasonable compared to other quotes I'd received. The results were ... Read more fantastic and the communication between us was quick and efficient and I can't recommend them enough. Thanks for a quality, great repair job on my Scirocco recently. Good value and nice friendly service. You kept me informed every step of the way, will highly recommend you. I just wanted to say thank you, the work on the front bumper is great, you’d never know! I used Andy Wade & Michelle Doyle's service to repair a scrape we'd had on a dry stone wall. I can't see the damage at all. I'm delighted with their service. Fab job on my Merc SLK today. Nasty scrapes from a trapped seatbelt buckle in the door now completely repainted. Good as new. Thanks guys. Excellent personal service and excellent job at reasonable price. what more can you ask for, Well Done. Fantastic job by Andy Wade on my Audi A1 - looks perfect.